The Plymouth Chamber of Commerce arranged with Wisconsin & Southern to have Soo Line 2-8-2 1003 brought up for area children to meet Santa on Saturday morning. 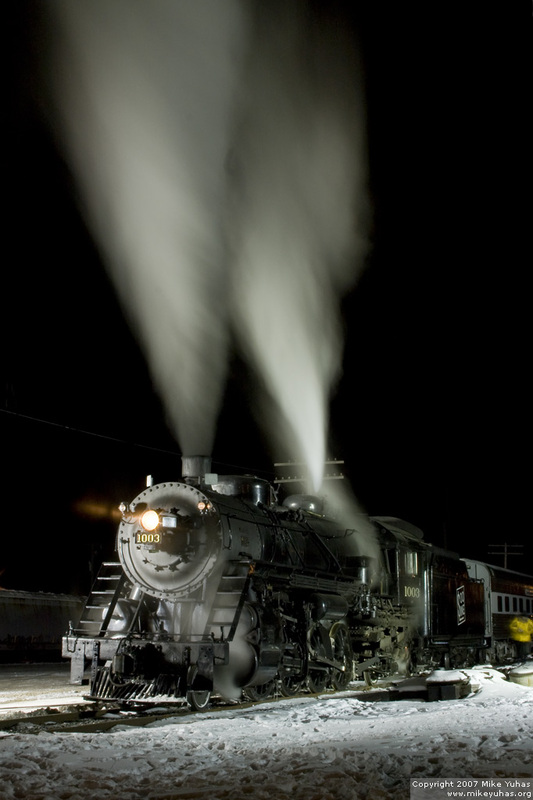 Because this was the first time a steam train had been to town in over 50 years, the Chamber set up high intensity lighting near the train so folks could check out the engine. The train arrived about midnight, six hours late. Hundreds of area residents showed up to watch the train arrive.